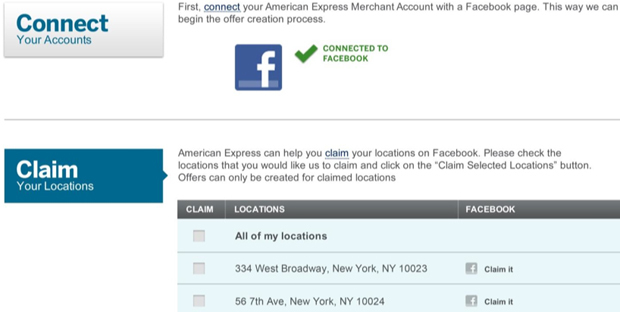 American Express Friends Facebook, Checks In With Foursquare: Does Your Social Graph Have Good Credit? 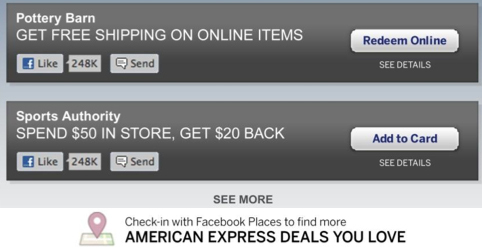 Today, American Express unveils a new social media platform that enables customers to link their AmEx cards and Facebook accounts to receive specials from local and national merchants. Creating a social network is so last week. Today, American Express is unveiling a social media platform called “Link, Like, Love” that gives card members personalized deals on Facebook based on their social graph, while also giving businesses an easy way to set up shop on different social networks. Local and national merchants are already signed on to the program, which dynamically updates new deals in a dashboard tailored to a cardholder’s likes, interests, and friends. The platform is very similar to one AmEx launched recently with Foursquare. With 750 million people on Facebook and 10 million on Foursquare, American Express suddenly becomes a powerful player in the increasingly popular (and crowded) deals space. More and more competitors are entering the landscape, from startups like Square to established players like PayPal. But by leveraging the company’s reach–the millions of merchants and cardholders using AmEx–the company hopes to provide a scalable solution for businesses and simplify the fragmented e-commerce space for consumers. To sign up, simply head to the “Link, Like, Love” app on the American Express Facebook page and link your AmEx card to your Facebook account (just a few quick steps in a separate and secure window). See a deal you like? Just tap a button, and the special will be loaded directly to your AmEx card–no coupons or printouts necessary. For example, cardholders can get $20 back for spending $50 at Sports Authority, or $5 back for spending $20 or more at Whole Foods–there will be more than 100 merchants at launch, including 20th Century Fox, Dunkin’ Donuts, and Virgin America. When you swipe your card at a particular merchant, the value of the offer will be reflected on your next AmEx statement. “This phenomenon of daily deals and location-based offers–it’s a great opportunity to reach AmEx customers, but there are [many] merchants who are overwhelmed by all the digital options that have been created over the past few years,” says Ed Gilligan, vice chairman of American Express. Indeed, in order for a business of today to compete, it must have a presence on Facebook, Groupon, Living Social, Google Offers, Foursquare–any number of services duking it out in the space, with no unifying force behind it. “We’re building a one-stop shop where merchants can come to us, and we will put them on all the social sites they want,” Gilligan says. Using a service called “Go Social,” which AmEx also unveiled today, merchants will be able to easily create offers across a variety of social media sites, including Facebook and Foursquare. (The company is currently in talks with a number of other players.) 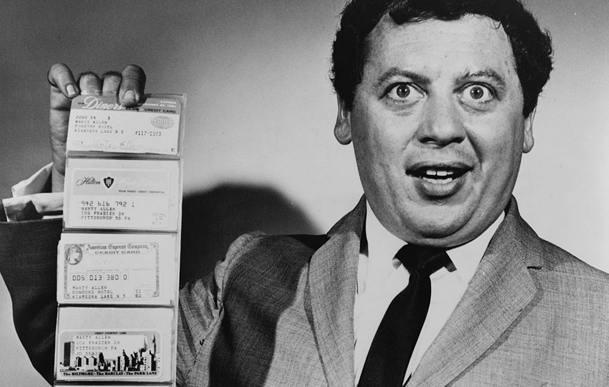 It’s a simple tool that allows merchants to claim or I.D. their businesses online, set up specials quickly and easily for AmEx cardholders, and track offer campaigns across multiple social networks. In that sense, AmEx has created a distribution platform for merchant deals, so businesses can be on as many platforms as they’d like to be. The data is particularly exciting. Merchants will be able to access a dashboard of offers to oversee their campaigns in real-time; additionally, AmEx promises they’ll be adding data-visualization tools in the future so businesses can better parse the data. “We will give them information to see how many customers have used the offer, how much the customers spent when they used the offer, and whether they returned a week later, or three months later, or six months later,” Gilligan says. For merchants, that data is invaluable, and currently not very accessible, especially for small businesses. It will give them the opportunity to see whether social media is indeed inspiring foot traffic, repeat visits, and customer loyalty. And for consumers–well, AmEx cardholders at least–it’s yet another opportunity to knock a few more bucks off your next credit card statement.